There is a spectre haunting Europe – the spectre of populism. Last December, Hungary and Poland had right-wing governments but elsewhere the possibilities for the populist right seemed comparably small. The U.K was heading for a vote on its EU membership but few believed the majority would choose Brexit. Today, across the West, populism is a phenomenon which cannot be ignored. Across the continent, populists from Farage’s Brexiteers and Marine Le Pen to Italy’s left-wing Cinquestelle movement have gained ground in strides that seemed unthinkable just one year ago. As 2016 draws to a close, the old divisions of left and right are no longer adequate to explain the dynamics of our political landscape. For although united under a single word, populists these days have a varied face. So what unites the self-identified rebels who are taking control of the mainstream? Clearly, the anti-austerity populism of the left is very different from the authoritarian populism of the right. The Front National in France, German AFD and Dutch Freedom Party are anti-Islam and anti-immigration. Italy’s Cinquestelle does not share those views. Yet, according to Professor Hanspeter Kriesi, Stein Rokkan Chair at the Department of Social and Political Sciences, populists of left and right share a common assumption that society is split into two antagonistic groups: the true people and the corrupt élite, otherwise known as ‘us’ and ‘them’. In this ‘thin ideology’, the people are virtuous and the élite are crooked. The people, as a homogenous mass, possess a general and shared will. And as the leader of a populist party, one man (for it usually is a man) is sovereign, the vox populi, who alone understands the woes of his people and can give voice to a disenfranchised majority. In a sense populism is nothing new. Europe has long been a home to governments and oppositions that fitted the populist mould. 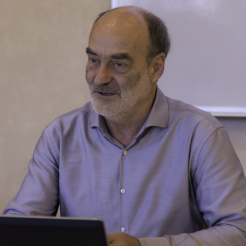 ‘The main difference between Trump and Berlusconi’, says Professor Hanspeter Kriesi, Stein Rokkan Chair at the Department of Social and Political Sciences, ‘is that Trump has more power’. Yet, the success of populism in reaching the mainstream is cause for concern. Whilst this idea of ‘we, the people’ is presented within the imaginative framework of democracy, it is an illiberal concept. There is no such thing as the people. There is not one shared view. Rather, there are many people amongst whom there are many, likely to be contradictory, views. Any political discourse which homogenises the full diversity of a population is fundamentally exclusionary – and that contradicts the democratic banner under which populists march. Yet, in 2016, this inconsistency between populism and the values of democracy has not been reflected in the polls. Pervasive disappointment with democracy and its institutions also encourages the populist turn. SPS Professor of International Relations Jennifer Welsh, in a series of lectures for the Canadian Broadcasting Company, argues the legitimacy of liberal democratic values has been eroded by years of unmet expectations. Indeed, for Professor Kriesi, populism’s claims of direct democracy show a ‘crisis of representative democracy’. Leaders of the political mainstream have not responded to the anger and fear of their electorates in recent years of crisis. Whilst crisis itself is ‘a facilitating condition,’ says Kriesi, a fundamental lack of trust between the represented and representatives, helps explain populism’s success. ‘In America, there is a feeling that those responsible for the Great Recession were never punished, that they have been taking care of only themselves and have never been held to account,’ he says. ‘There was a sense that the country was looted on a vast scale by corrupt politicians.’ As a result, the imagined bridge between the representative and the represented has been broken. Yet citizens must also ask themselves why populism has not been successfully challenged. In times of crisis, when complex solutions and analysis fail to cut through the mass of information at our fingertips, simple slogans of ‘control’ resonate loudly amongst the dithering of measured experts. In short, populists explain the world so you don’t have to, inviting listeners simply to ‘trust’ their interpretation and the ‘facts’ they propose. Here, in the direct democracy of the twitter-sphere, everyone has their say. Yet the fragmented social media world drives few to explore beyond their own comfortable echo-chamber. Here, the exclusionary character of populism’s take on democracy is crystal clear. Galvanised by the ‘us vs. them’ discourse, people willingly embrace their words without challenging their meaning. Many rest easy in an uncritical comfort zone, which quietly suppresses intelligent resistance against imposed meanings. It is imperative, if any challenge to populism is to be offered, that all critically address the assumptions made in this new political mainstream. In his essay on Politics and the English Language, Orwell wrote: ‘the word Fascism has now no meaning except in so far as it signifies ‘something not desirable’. Theresa Gessler, second year PhD researcher at the EUI, warns of a similar fate for populism. ‘We should be careful not to call all politics we don’t like ‘‘populism”’, she argues. Yet we must be able to identify the difference between populist appeals to democratic affection and democracy itself. As Chimananda Ngozi Adichie argued in a recent New Yorker article, ‘now is the time to precise about the meaning of words’. If we want to truly deepen democracy, we have to understand the phenomenon that has taken the political mainstream by storm. The meaning of populism, like democracy or fascism, is not self-evident. Its advocates come in all shapes and sizes; some more appealing, and more palatable than others. Yet what unites them is the habit of casting complex problems as black and white issues. Such a polarised discourse, likely to dominate our political stages for the years to come, veils the complexity and diversity of those for whom populists claim to be fighting. 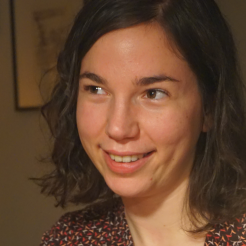 Theresa Gessler is a doctoral researcher in EUI’s Department of Social and Political Science, affiliated with the POLCON project. Jennifer Welsh is Professor of International Relations in the EUI Department of Social and Political Science. Her 2016 volume The Return of History, based on the CBC Massey Lectures series she delivered, was recently profiled here.